8:45 a.m. – 4:20 p.m.
our theme days and much more! 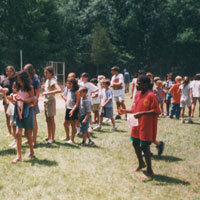 Campers will love choosing their own activities! 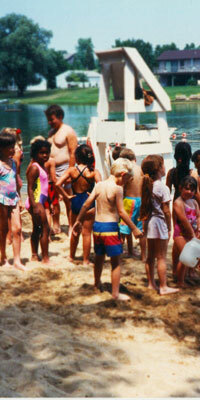 Varsity Day Camp has been privately owned and operated since 1950. The camp is located about 18 miles from Ann Arbor in Hamburg Township, Livingston County. 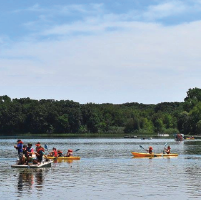 Camp Activities are conducted on a 40-acre site located 1/2 mile south of M-36 on Cordey Lake Road on the west shore of Cordey Lake. Read more about how much fun campers have had at Varsity Day Camp on our Camper Memories page! The camp tuition fee includes lunch, insurance, arts & crafts supplies, all activities and instruction. Campers may register for any combination of days. To secure your child's place, at the end of the registration process, you will be invoiced for a one-time, per-family, per year $25 administration fee plus the first week's tuition. By June 1st, 50% of the remaining balance for the summer must be paid. Thereafter, each successive week's tuition must be paid no later than the Thursday prior to the Monday's attendance. 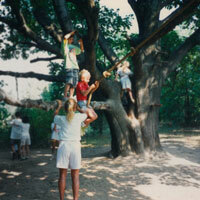 Your child may not attend camp on days unpaid for. We do welcome last minute day registration. However, registration must be completed and paid for by midnight of the day prior to attendance. Cancellations must be made a minimum of seven (7) days prior to attendance to receive a refund. 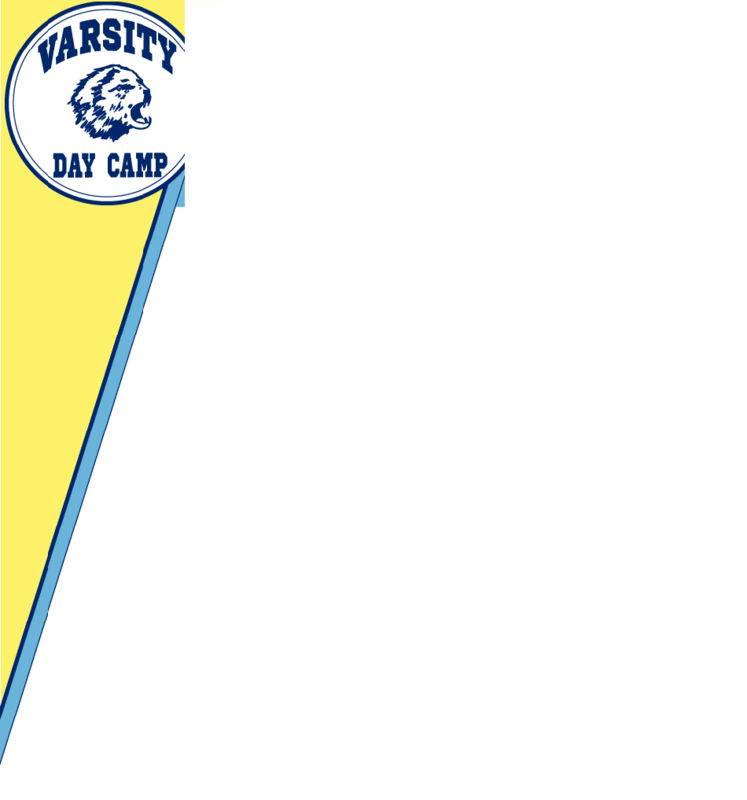 Parents must contact johnw@varsitydaycamp.com to make changes or cancellations. Under certain situations and subject to availabilty, we will reschedule for you and apply your funds. An additional fee of $8/child will be assessed for each "Before Care" or "After Care" session. Arrival for "Before Care" must be before 8:15 a.m., cars arriving after 8:20 a.m. will be held for regular arrival. "After Care" participants should arrive with an after-camp snack. All Sign-In/Sign-Out will take place at Zone #3.
Review the Orientation Guide here. No older than twelve (12) years old at the start of camp. New campers are provided with a camp bag for their swimsuit, towel and personal items that they bring to camp each day. Play clothes and footwear appropriate for the weather and camp activities should be worn. Camp T-shirts and sweatshirts are available for purchase. Please do not send baseball bats, balls, landing nets, lacrosse sticks, etc., as all supplies and equipment are provided by the camp. Please label all camper clothing, towels, etc. to assure their return each day. 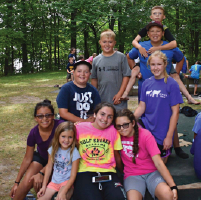 Varsity is licensed by and complies with the rules governing camps set forth by the State of Michigan Office of Children & Adult Licensing under the Department of Human Services and the Livingston County Health Department. Every effort is made to assure the health and safety of campers. The noon meal is provided. Please check the calendar to see the menu for the current week. Camp staff prepare/make Mrs. Whiz’s famous recipes and serve lunches that are known for their quality, nutritional value and popularity. Please list dietary restrictions, if any, on the Camper Medical Form. Campers are covered by an excess Medical/Accident insurance plan that is included in the tuition fee.